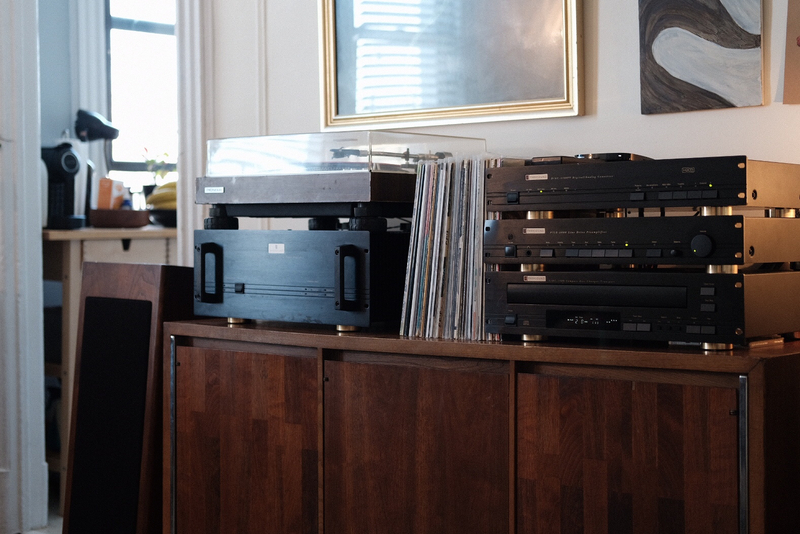 In addition the set is hooked up to a vintage Pioneer PL530 turntable, Cambridge phono pre and an old 70’s Jennings research contrata pedestal speaker pair. I am quite please with the way it sounds, could I get better bang for less than $2000? What ICs and SCs did you end up going with? I recall you asked for advice on that for this system in another thread. @Clipdat I am using Blue Jean interconnect and speaker cables, I haven’t tried any other options yet... but I am curious to do so, also I want to try XLR interconnects as well. ^^Zu cables on eBay. Bid on their Mission series SC, IC's and PC's. You can score some excellent deals if on a budget. There are also other series, just take a look. Very cool. You might want to let the amp breathe a little more. Thanks, I friend of mine also mentioned that I was going to bake the turntable. I noticed that there's a fan mount on the back and installed a low noise fan, I think it does a good job keeping the heat tolerable, the heat sinks run around 115f. I'm on a budget, for sure! I am a poor type of audiophile ... maybe "poor" is too strong but the priority at this point in life are kids and plan the future. That HCA2200II, is s very good amp. Other than the 3500 probably the best of the HCA series. I would say move the turntable off of the amp. Not just because of heat, but noise pickup potential. Other than that it looks good to me! The 2200II was sounding flawlessly, although status LEDs weren't working. Pretty frustrating that the previous owner didn't disclose it. I thought about attempt fixing it my self, but Parasound technician, "Tony" was super responsive and mentioned it's an easy fix should have it back in a few days!!!! 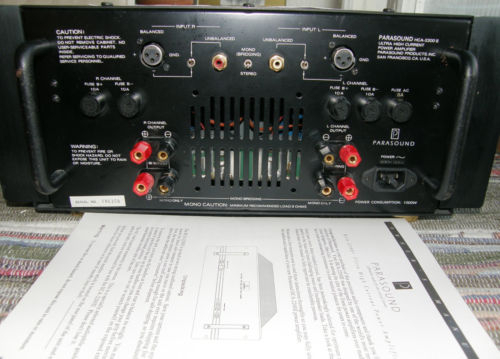 That Parasound P/LD 2000 pre amp is a great pre and a very rare beast. I have the P/LD 1500 pre amp (also a quite rare piece) and love it but that P/LD 2000 is one of John Curl's masterpieces. I would just recommend moving the tt off of the amp, as others have mentioned. Other than that, great system. I am sure it sounds fantastic. Congrats.